Large Wall Graphics - Lake Graphics Label & Sign Co.
We can print custom graphics for application to interior or exterior walls in any size. We can use adhesive vinyl or wallboard vinyl depending on interior v. exterior location and surface type. Wide format wall graphics can also be removable or permanent. Choose wall graphics for business branding, decor or promotional signage, as exterior building wraps or on walls or ceilings. 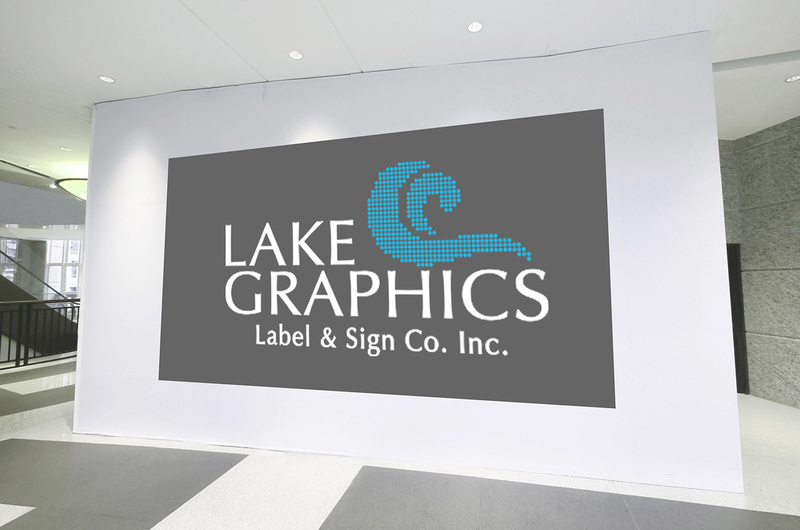 At Lake Graphics Label and Sign Co. Inc. we take pride in providing the best printing quality and faster turnaround times at competitive prices. And after working with our expert, friendly and professional staff, you won’t want to take your wall graphics printing projects elsewhere. We can print high-quality, wide format graphics up to 3.2 meters wide using 8-color process, coated or uncoated. For wider wall graphics, we print panels that can be pieced together side-by-side. We also regularly produce difficult or wall graphic projects that other printing services are unwilling or unable to take on. And if you need signs, promotional decals, stickers, or more – we can print those too.